Ever wondered how to render a realtime shader from the 3ds max viewport into a high resolution image? Or even an animation? Then this could be helpful for you. and edited by Leslie Van den Broeck. 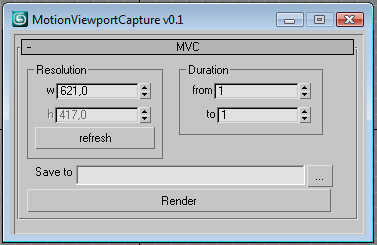 I've added the functionality to refresh the resolution and aspect ratio of the selected max viewport and - more important - to render an animation as image sequence. You can render that way any animated object using realtime shader directly from your max viewport into a high resolution image sequence. Rendering a single frame is of course still possible, just type in the same start and end frame.